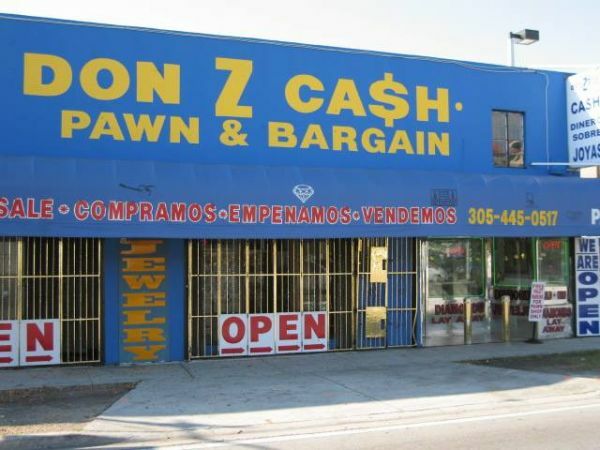 Don-Z Cash in Miami is one of the oldest pawn shops in Miami. We buy and sell. We pawn or purchase almost anything of value. Sell or pawn your item for instant cash. Highest prices paid. We deal with gold, silver, platinum, diamonds, watches, electronics, tools, musical instruments, fine crystal, porcelain, and more. Highest prices paid. No limit on your pawn transaction. Large or small loans. We have a layaway plan. Professional, secure and confidential service. And free valet parking! Don-Z Cash in Miami is one of the oldest pawn shops in Miami. We buy and sell. We pawn or purchase almost anything of value. Sell or pawn your item for instant cash. Highest prices paid.